A Vietnam veteran, Bill Stafursky dedicated his life to helping Island veterans. 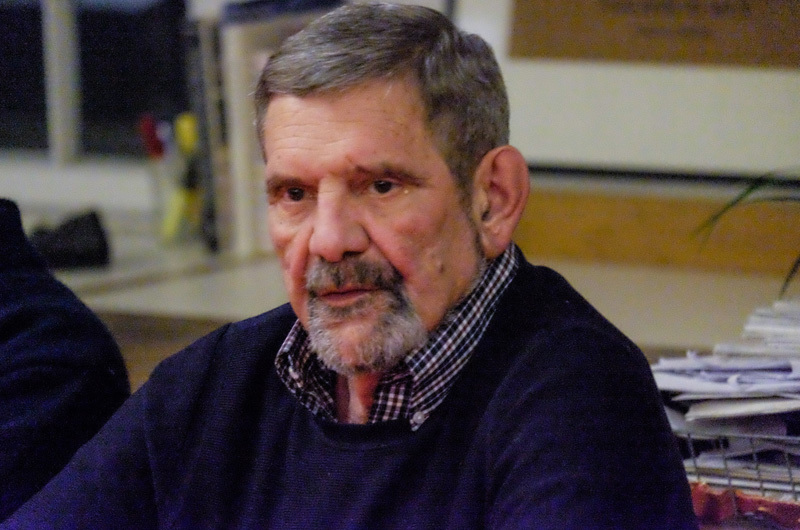 Family, friends, and many veterans are mourning the death last week of William (Bill) Stafursky, veterans outreach coordinator for Martha’s Vineyard Community Services, and a well known Island civic leader. A combat veteran of Vietnam, Mr. Stafursky died on Nov. 1. at the age of 70. “I’m going to miss him so much,” said Jo Ann Murphy, Dukes County veterans agent. Ms. Murphy worked with Mr. Stafursky on many projects to help veterans. His unexpected death was noted Monday evening at the Martha’s Vineyard Regional High School school committee meeting, when Amy Houghton asked for a moment of silence for Mr. Stafursky, a former school committee member. “I think it’s worth recognizing how much he did for our community, how much he did for our schools,” Ms. Houghton said. Co-workers gathered Tuesday morning at the Community Services campus to remember Mr. Stafursky. His outreach included advocating for veterans tangled in the legal system, encouraging veterans to come in for mental health services if needed, organizing a veterans discount card program, and more. Julie Fay, executive director of Community Services, said he filled a role much larger than veterans outreach program coordinator. Tom Bennett also worked closely with Mr. Stafursky at Community Services. A Run/Walk for Veterans, scheduled for this Saturday, Nov. 10, to benefit MVCS Veterans Outreach Program, will honor Mr. Stafursky, who ran the program. The run will begin at 9 a.m. at the Right Fork Diner. A $10 donation is suggested.The walk is being organized by Island resident and runner, Ruth Ambrozaitis. Memorial services for Mr. Stafursky will be held in a few weeks, with visiting hours from 5 to 7 p.m. on Nov. 30 at Chapman, Cole and Gleason Funeral Home in Oak Bluffs and a memorial mass on Saturday, Dec. 1 at 11 a.m. at St. Augustine’s Church in Vineyard Haven. Billy was my brother in law. When I was 16 he gave me his Army jacket I loved that jacket. His son Josh ( my nephew ) and his daughter (Monica) loved their dad and will miss him terribly . Margeret and Robbie I’m so sorry for your loss. Peace. I will miss seeing Bill when I visit,he had a wealth of knowledge,he never let his illness keep him down . I worked with Bill and always enjoyed our time together just a great guy who left to early.